Excellence in Customer service rewarded! 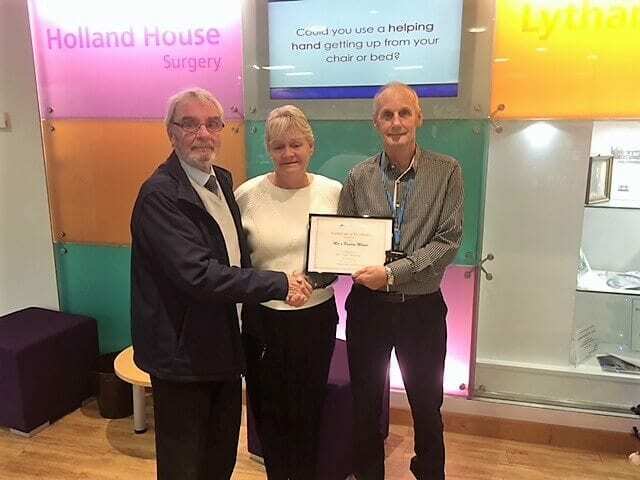 An Aston Services Certificate of Excellence was awarded to Mel & Pauline Milner in recognition of their customer service, following an out of hours emergency response. Mel & Pauline attended West View Health Centre, Fleetwood after a burst pipe incident caused extensive flood issues to the main reception and toilet facilities. They carried out emergency cleaning of all affected areas and also replaced damaged carpet tiles from client stock to ensure the building could operate the very next day.